Amazing Whats app Success, Whats next big thing on Mobility? With Facebook acquiring WhatsApp, for a $12bn in Facebook shares $4bn in cash and an additional $3bn in restricted shares, its co-founders – Jan Koum and Brian Acton – have become billionaires. They are the stars of the telecom world more spoken since last week!! Jan Koum has 45 per cent stake in the company, while Acton’s stake is 20 per cent, making them worth a whopping $6.8 billion and $3 billion respectively, according to Forbes. Think about it!! Merely 5 years ago, this company did not exist. Today, $19 billion. To put this number into perspective, the market value of Xerox or Wipro is less than $13 billion; Sony, just $18 billion. As almost every smartphone user in this earth knows, Whats app is a simple, intuitive fast and reliable mobile messaging service that is used by over 450m people on every major mobile platform. More than 1million people sign up for WhatsApp every day and it is on its way to connecting 1billion people. More and more people rely on WhatsApp to communicate with all of their contacts every day. This is a SMS alternative with better and intuitive messaging services. Its usage crossed many borders of the countries and “ did you Whatsapp ?“ became a daily transactional sentence. Whatsapp went viral and was promoted by users. It was an obvious deal as the Facebook as user subscription was going down and the users were opting to be infrequent users of Facebook. Facebook was looking for product which had big and growing user base in Mobile. Whatsapp stood was clearly on top of all the possible options of Line s and We chats. Whats app was very clear from very beginning that it was a no nonsense chat application –Simple and Reliable communications, No personal Information being collected, No Advertisements. Many companies are born to be global with one strong concept which connects our real life. Whats App belongs to this category. Founder of Watsapp Jan Koum says “I grew up in a country where I remember my parents not being able to have a conversation on the phone, the walls had ears and you couldn’t speak freely.” Follows the history of Whats App! The company which collect most of the personal data acquires the company which doesn’t even collect user’s name! This is how the business opportunity knocks the door. This can be one of the mega tech deals that have happened in the recent past! According to numbers posted by Facebook, WhatsApp boasts 450 million users. It’s adding 1 million daily, and an astonishing 70 percent of users are active on a given day. Facebook vision is to have one platform for billion people around the world to share whatever they wish over the internet using smart phone or tablets. 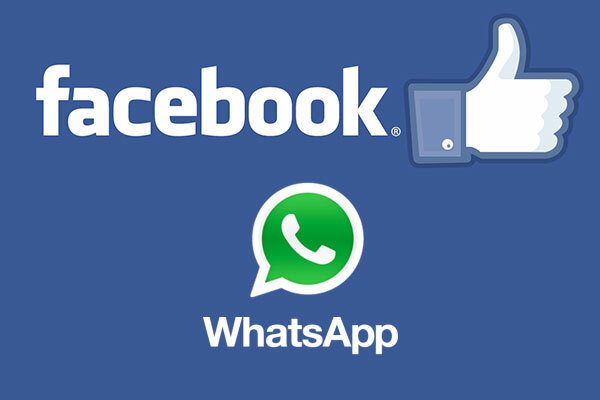 Facebook along with WhatsApp can help to develop great new mobile services that give people even more options for connecting. Some feel it is irrational to pay $42 for every user, some think it is a good strategy to get a growing user base. We see it as our belief of 3 years that mobility will be the new way people will connect and do business coming into reality. This could be just tip of iceberg and a huge opportunity may lie beneath in umpteen ideas and services around mobility. The move from Facebook will definitely be a great boost for the upcoming innovative start-ups. This can act as a huge encouragement for many of startups. There are already several ideas and many of of them in different stages. We will see industry vouching for more and more product ideas and sharing the risk of the startups and SMEs. A lot of strategic mergers and acquisitions may be on the cards in next 1-3 years. We will see more and more commitment from the young pals towards venturing new start-ups with variety of concepts being implemented. We believe in the power of ideas. Ideas can change the world. We are willing to work with SME and Startups with their ideas and help them achieve their dreams. We can work with them either in partnership model or the enable them to work on their product with a small team. The team can be ramped up as the product grows. This will lower the risk of technology, burning their capital. They could spend more time for focusing on the product marketing. A simple innovative product can make the startup make big, there are endless opportunities in this mobility era. Who is the next winner?